Well, since the big updates, and the fact that 1.5.2's client isn't compatible with 1.5.1's, I've basically been one of the only players actively playing multiplayer on fcraft creative. And in all of my alone time on there, I started building a great new building. The tower still is in need of a name, so maybe if somebody were to come up with a great name that I like, he or she might get a special reward in relation with the building. And don't bother telling me to build less tall things and make more big things, I've given up on trying to get mason rank, and I decided that I just wanted to build skyscrapers. So tell me what you think, and if you want to check it out, log on and find me. 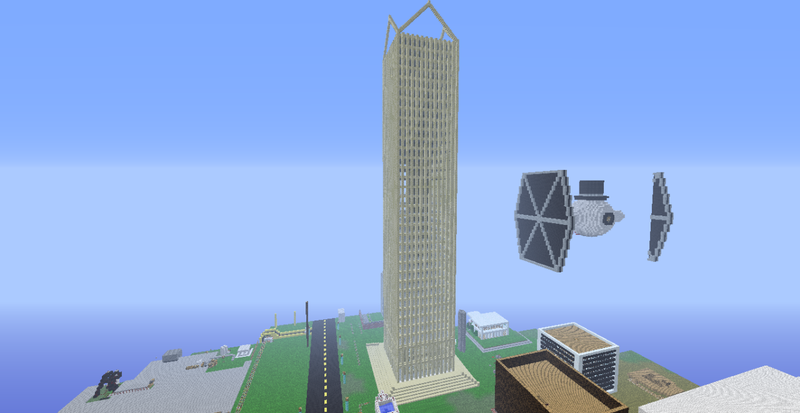 If I'm not online, do /warp Brendtower and fly east a bit.